The first-time group exhibition, Work/Space, curated by Whitney V. Hunter, will offer the public the unique opportunity to view works of the 30 in-house artists’, as well as visit the studios and witness the creation process. The public will see a broad range of work being created by these Brooklyn-based artists’ who are bound together by the commonality of working out of The Invisible Dog Art Center. 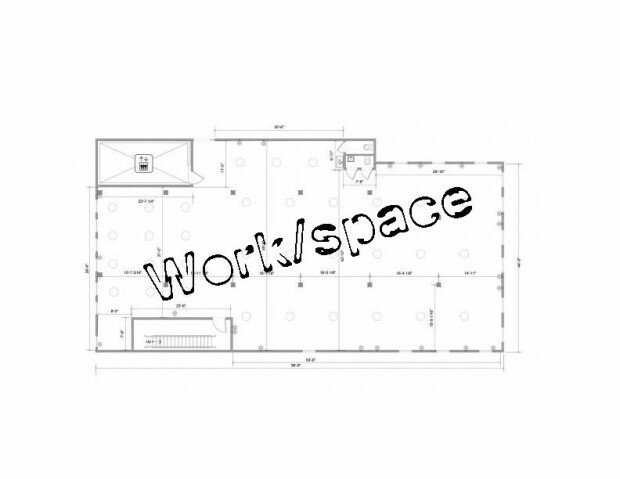 Work/space is a community building opportunity for the public and artists of The Invisible Dog Art Center. The artists of Invisible Dog represent a broad range of aesthetic sensibilities, and they are the lifeblood of the center. In meeting the artists and talking to them about their work and their individual processes, I have been enlightened and feel a particular connection to every one of the artists. It is through their dedication to their work and their fearless approach to discovering new territory that inspires me as an artist and a curator. My hope is that Work/space will stimulate personal and professional relationships between the individual artists of Invisible Dog as well as the public that visits The Invisible Dog Art Center.